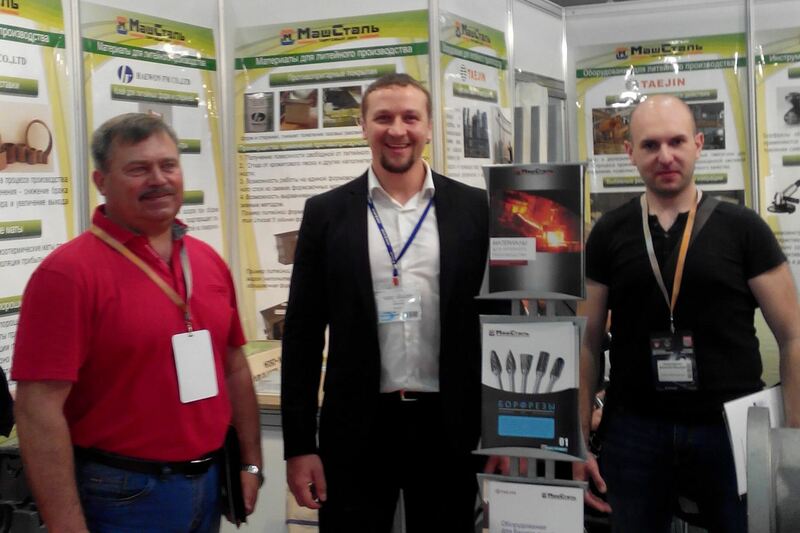 Foundry specialists of PJSC “EMSS” visited the international industrial exhibitions of foundry products, technologies, equipment and materials for casting production “Metallurgy 2017” and “Litmash 2017”. During the exhibitions visiting, PJSC “EMSS” representatives got acquainted with the latest technologies, materials and equipment for the production of steel and cast iron castings. In addition, the business program was held directly in the exhibition space of the forum. So, on the 5th and 6th of June a seminar “Innovative Foundry Technologies for Effective Foundry Production” was held. The event was carried out involving the leading foreign foundry production experts, as well as exhibitors. The exhibition forum, organized by the companies “Metal-Expo” and MesseDuesseldorf, has been successfully held for more than 17 years and annually attracts a large audience of professionals in the metallurgical, metal-processing, machine building and a number of related industries. This year more than 300 exhibitors from Ukraine, Germany, Turkey, Poland, Great Britain, Italy, Belgium, India, Czech Republic and China took part in the exhibit. During four days, more than 4,200 specialists visited the international machine-building exhibitions.